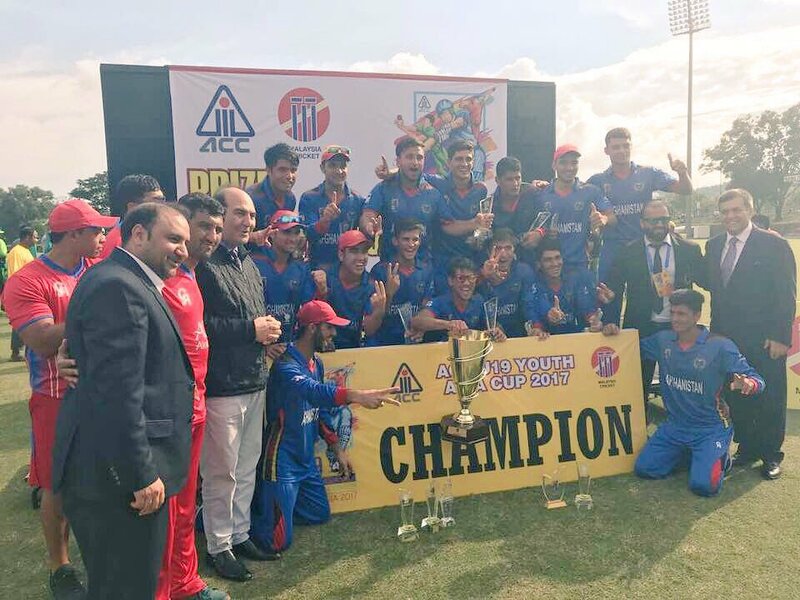 Kuala Lumpur, Nov 19: Afghanistan thrashed Pakistan by 185 runs to clinch their maiden Under-19 Asia Cup cricket title at the Kinrara Academy Oval here on Sunday. Riding on an unbeaten 107 from Ikram Ali, Afghanistan posted 248 for 7. In response, Pakistan were bundled out for just 63 runs in 22.1 overs with Mujeeb Zadran returning brilliant figures of 5 for 13, according to an International Cricket Council (ICC) release. The early wobble triggered panic in the Pakistan camp and the Afghanistan bowlers took full advantage of the situation. Leg spinner Qais Ahmad chipped in with 3 for 18 in six overs to lend support to Mujeeb, and the wickets kept tumbling in quick succession. With the pressure of the final bogging them down, as many as nine Pakistan batsmen failed to reach double figures, and Afghanistan wrapped up the tail with ease to score a win. Earlier, sent in to bat, Afghanistan posted 248/7 with Rahmanullah Gurbaz (40) and Ibrahim Zadran (36) scoring handsomely.